Draft: 2011, St. Louis Cardinals, 5th rd. Samuel Joseph Gaviglio ... Graduated from Ashland High School (OR) in 2008…Lettered three seasons in baseball and two in football and was named the Oregon 5A Pitcher of the Year as a senior ... Selected by the Tampa Bay Rays in the 40th round of the 2008 First-Year Player Draft but did not sign ... Played college baseball at Oregon State from 2009-2011...Went 12-2 with a 1.87 ERA in his final season and was named Pac-10 All-Conference and 2nd Team College All-American. Struck out 100+ batters for the 1st time while playing a career-high 26 games (24 starts)...His 24 starts were 2nd most on the team (Marco Estrada-28) ... Finished the season with a record of 2-3 and a 3.41 ERA (27 ER/71.1 IP) at home...Was 1-6 with an 7.91 ERA on the road (46 ER/52.1 IP) ... Had a 4.24 ERA (32 ER/67.0 IP) in divisional games (6.63 ERA vs. all others) ... Was acquired from the Royals in exchange for a Player To Be Named Later on March 21 and assigned to Triple-A Buffalo to start the season ... Posted a 1.86 ERA over five starts for the Bisons (29.0 IP, 21H, 6ER, 4HR, 4BB, 29K) ... Recalled from Buffalo on May 11 and earned the win in his Blue Jays debut that night vs. BOS... Threw 3.0 innings, his longest career outing as a reliever (1H, 3K) ... Made his 1st start for the Blue Jays on May 19 vs. OAK and tossed 5.1 scoreless innings (6H, 1BB, 6K) ... On May 25 at PHI, threw his 1st quality start as a Blue Jay... Hit his 1st extra-base hit - a double in the 2nd inning... Marked the 1st extra-base hit by a Blue Jays pitcher since May 18, 2017 when Marcus Stroman homered in Atlanta... Became the 9th Blue Jays pitcher all-time to record an extra-base hit ... Threw 6.0 innings on May 30 at BOS (7H, 4R, 4K)...Retired the first six Red Sox he faced in order before allowing a single to Blake Swihart to begin 3rd inning... Set down the side in order three times, in the 1st, 2nd and 4th innings ... Threw 7.0 scoreless innings on June 6 vs. NYY (3H, 3BB, 4K)... The 7.0 IP were a career high (6.1 on July 1, 2017 at LAA), as were his 104 pitches (102 on June 9, 2017 vs. TOR)...Had thrown 12.1 scoreless innings across his first two starts at home ... Placed on the paternity list on June 19 and reinstated on June 22...Sam and his wife, Alaina, welcomed their first child, Livia, on June 19 ... After allowing two runs (one earned) vs. NYY on July 6, held a 1.95 ERA (6 ER/27.2 IP) over his first five home starts as a Blue Jay - the best all-time (2nd: David Price - 1.98, 3rd: Tom Candiotti - 2.16) ... Allowed a season-high 6ER on July 11 at ATL... Marked his shortest outing as a starter (1.2 innings) and his only start without recording a strikeout ... Made a start on two days rest for the first time on July 14 at BOS, where he allowed one run on four hits across 3.1 innings (1BB/2K) ... Set career-highs with eight strikeouts and 7.2 innings pitched vs. BAL on July 20…Threw a career-best 71 strikes (103 pitches) while allowing four runs on seven hits ... Set a career-long mark of six consecutive losing decisions with a loss on Aug. 16 at KC ... Earned his 3rd win of the season on Aug. 21 vs. BAL, going 7.0 IP while giving up two runs on six hits for his 4th quality start (1BB, 7K)... Was his longest outing since July 20 vs. BAL and his 1st win since May 25 vs. PHI... His 15 starts without a win tied the 2nd longest streak in team history (Tom Underwood-21, Ricky Romero-15). Went 4-5 with a 4.36 ERA (36 ER in 74.1 IP) in 16 appearances (13 starts) between Seattle and Kansas City ... Started the season at Tacoma (AAA), where he went 2-3 with a 3.31 ERA (12 ER in 32.2 IP) in five starts ... Made his Major League debut with Seattle on May 11 at Toronto, allowing a solo home run in 2.0 innings of relief ... Made his first big league start on May 18 vs. the White Sox, allowing three hits and one walk in 5.0 scoreless innings ... Went 2-1 with a 2.67 ERA (8 ER in 27.0 IP) in his first five big league starts, recording at least 5.0 innings and allowing no more than one earned run in all but one of those starts ... Went 1-3 with a 5.93 ERA (18 ER in 27.1 IP) over his next five starts, before being optioned to Tacoma on July 6 ... Was recalled on July 18 for one start with Seattle, taking the loss at Houston, allowing five runs in 6.0 innings ... Optioned to Tacoma on July 20 and went 1-2 with a 3.93 ERA (15 ER in 34.1 IP) over his final seven starts there ... Selected off waivers by Kansas City on Sept. 1 ... Went 1-0 with a 3.00 ERA (4 ER in 12.0 IP) in four appearances (two starts) with the Royals in September ... Allowed one run on four hits and three walks in 5.0 innings in his Royals debut on Sept. 7 vs. Minnesota ... Earned his first win as a Royal on Sept. 12 vs. the White Sox, allowing just two runs on seven hits in 5.0 innings. In 2016, went 8-7 with a 3.98 ERA (73 ER in 165.0 IP) in 28 appearances (26 starts) between Jackson (AA) and Tacoma (AAA) ... Recorded at least 6.0 innings in 19 of 26 starts, including 17 quality starts…pitched his first career complete game and shutout on Aug. 8, 2016 vs. Sacramento (9.0 IP). Following the 2014 season, was traded by St. Louis to Seattle in exchange for INF Ty Kelly ... Spent the entire 2014 season at Springfield (AA), where he went 5-12 with a 4.28 ERA (65 ER in 136.2 IP)…ranked third in the Texas League with 162 strikeouts ... Matched a career high with 11 strikeouts (no walks) across 7.0 innings in a no-decision on June 10, 2014 vs. Tulsa. Made eight starts (9 app.) between Palm Beach (A) and the Gulf Coast League after missing 3-1/2 months with a right forearm strain. Finished the year making six starts in the Arizona Fall League for Salt River...Despite only seven starts at Palm Beach, ranked T3rd on the squad with four wins...Won his first three starts and his final start of the season...Held right-handed batters to a .191 BA (18-94) and left-handers to a .239 BA (11-46) with only two extra base hits...In six of his seven starts at Palm Beach, held the opposition to two runs or less....Made two starts rehabbing at the Gulf Coast League level and fired eight scoreless innings, allowing four hits with nine strikeouts...Pitched for Salt River in the Arizona Fall League. Went 3-0 with a 3.58 ERA and 21 strikeouts in 27.2 innings covering six starts. Kane County (7/4) ... 13-of-23 starts were of 6.0 IP or more including nine quality starts ... ranked among Cardinals minor league leaders in wins (9, 6th), innings pitched (133.0, 8th) strikeouts (113, 6th), games started (23, T9th) and opponent BA (.247, 5th). Signed late and made two starts for Batavia (A), tossing four scoreless innings. June 22, 2018 Toronto Blue Jays activated RHP Sam Gaviglio. June 19, 2018 Toronto Blue Jays placed RHP Sam Gaviglio on the paternity list. May 11, 2018 Toronto Blue Jays recalled RHP Sam Gaviglio from Buffalo Bisons. March 22, 2018 Toronto Blue Jays optioned RHP Sam Gaviglio to Buffalo Bisons. March 21, 2018 Kansas City Royals traded RHP Sam Gaviglio to Toronto Blue Jays for Player To Be Named Later. March 18, 2018 Kansas City Royals optioned RHP Sam Gaviglio to Omaha Storm Chasers. March 18, 2018 Kansas City Royals designated RHP Sam Gaviglio for assignment. September 1, 2017 Kansas City Royals claimed Sam Gaviglio off waivers from Seattle Mariners. August 19, 2017 Seattle Mariners optioned RHP Sam Gaviglio to Tacoma Rainiers. August 15, 2017 Seattle Mariners recalled Sam Gaviglio from Tacoma Rainiers. July 20, 2017 Seattle Mariners optioned RHP Sam Gaviglio to Tacoma Rainiers. July 18, 2017 Seattle Mariners recalled Sam Gaviglio from Tacoma Rainiers. July 7, 2017 Seattle Mariners optioned RHP Sam Gaviglio to Tacoma Rainiers. May 10, 2017 Seattle Mariners selected the contract of Sam Gaviglio from Tacoma Rainiers. November 21, 2016 RHP Sam Gaviglio assigned to Gigantes del Cibao. July 21, 2016 RHP Sam Gaviglio assigned to Tacoma Rainiers from Jackson Generals. June 9, 2016 RHP Sam Gaviglio assigned to Jackson Generals from Tacoma Rainiers. June 3, 2016 RHP Sam Gaviglio assigned to Tacoma Rainiers from Jackson Generals. April 4, 2016 RHP Sam Gaviglio assigned to Jackson Generals from Tacoma Rainiers. December 22, 2015 RHP Sam Gaviglio assigned to Estrellas de Oriente. November 16, 2015 RHP Sam Gaviglio assigned to Gigantes del Cibao. November 16, 2015 RHP Sam Gaviglio roster status changed by Gigantes del Cibao. August 24, 2015 RHP Sam Gaviglio assigned to Tacoma Rainiers from AZL Mariners. August 18, 2015 RHP Sam Gaviglio assigned to AZL Mariners from Tacoma Rainiers. July 20, 2015 Tacoma Rainiers placed RHP Sam Gaviglio on the 7-day disabled list. April 7, 2015 RHP Sam Gaviglio assigned to Tacoma Rainiers. November 20, 2014 Seattle Mariners traded 2B Ty Kelly to St. Louis Cardinals for Sam Gaviglio. 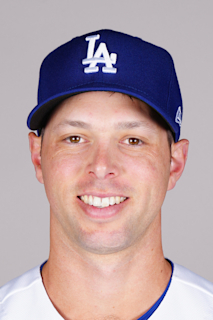 November 20, 2014 RHP Sam Gaviglio roster status changed by Seattle Mariners. September 2, 2014 RHP Sam Gaviglio assigned to Memphis Redbirds from Springfield Cardinals. August 5, 2014 Springfield Cardinals activated RHP Sam Gaviglio from the 7-day disabled list. July 27, 2014 Springfield Cardinals placed RHP Sam Gaviglio on the 7-day disabled list. April 1, 2014 RHP Sam Gaviglio assigned to Springfield Cardinals from Palm Beach Cardinals. January 21, 2014 Sam Gaviglio assigned to St. Louis Cardinals. August 23, 2013 Palm Beach Cardinals activated RHP Sam Gaviglio from the 7-day disabled list. August 9, 2013 Palm Beach Cardinals sent RHP Sam Gaviglio on a rehab assignment to GCL Cardinals. April 30, 2013 Palm Beach Cardinals placed RHP Sam Gaviglio on the 7-day disabled list. April 3, 2013 RHP Sam Gaviglio assigned to Palm Beach Cardinals from Peoria Chiefs. April 2, 2012 RHP Sam Gaviglio assigned to Quad Cities River Bandits from Batavia Muckdogs. August 12, 2011 Sam Gaviglio assigned to Batavia Muckdogs. August 11, 2011 St. Louis Cardinals signed RHP Sam Gaviglio.